Perhaps you've used other blogging services. 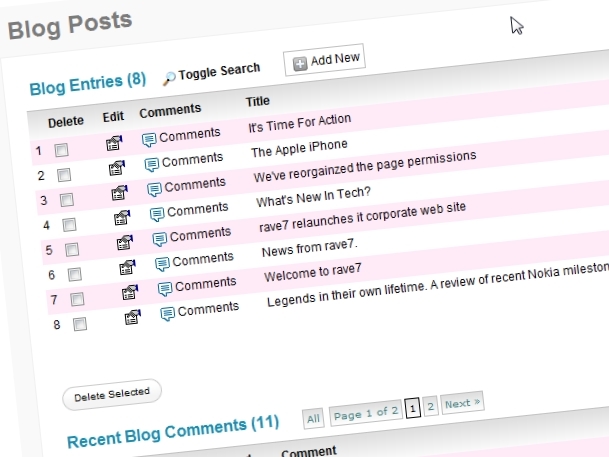 Well, with rave7™, you can integrate your blog directly into your site. New posts are added easily using our blogging module, and you can include videos, audio, and other media elements as well. Our blogging platform allows you to get your message out quickly and easily. You have unprecedented functionality with rave and you can place your blog on any page of the site, or even use it right on your home page. Your choice.